On Tuesday, December 6th, Rise and Dutchtown South Community Corporation staff went to a meeting with 70+ Vietnamese elders to share information about our planning work and to hear about their priorities and vision with the help of an interpreter and copies of a survey translated into Vietnamese. Sister Pham and the team at St. Francis Community Services Southside Center deserve special shout-outs for their hospitality and commitment to our neighborhoods. This group of elders gathers bimonthly to spend time together, share stories, and gain access to medical and other services. Founded in 1983, St. Francis Community Services addresses the immediate needs and systemic issues for all, while specializing in Vietnamese & Latino communities in the St. Louis Metropolitan Area. SFCS seeks to raise respect for heritage and engagement within & among cultures in a strength-based process of equipping clients with the skills necessary to be resilient. From our conversation with the elders and their survey responses, we learned about the strength of the Vietnamese community in St. Louis and the networks of support that are used to empower one another. For example, 3/4 of elders said they know and can rely on their neighbors. More than 75% stated they have a good relationship with their landlord, and nearly 85% want to be a part of improving their neighborhoods. This sense of community is fostered by gatherings like the one we attended, as well as organizations like the Vietnamese Community Association. According to survey responses, the greatest concern is safety; specifically, theft, drug use and juvenile delinquency were cited as the most pressing issues. This concern has made elders feel uncomfortable walking around the neighborhood. In addition to safety, other concerns included: programs for seniors, health and medical services, home repair support, and continuing education. When asked about the strengths of the community, elders highlighted places of worship, public transportation, recreational facilities and libraries. We are immensely grateful for the opportunity to meet and discuss our efforts with our Vietnamese neighbors, and look forward to a continued conversation. 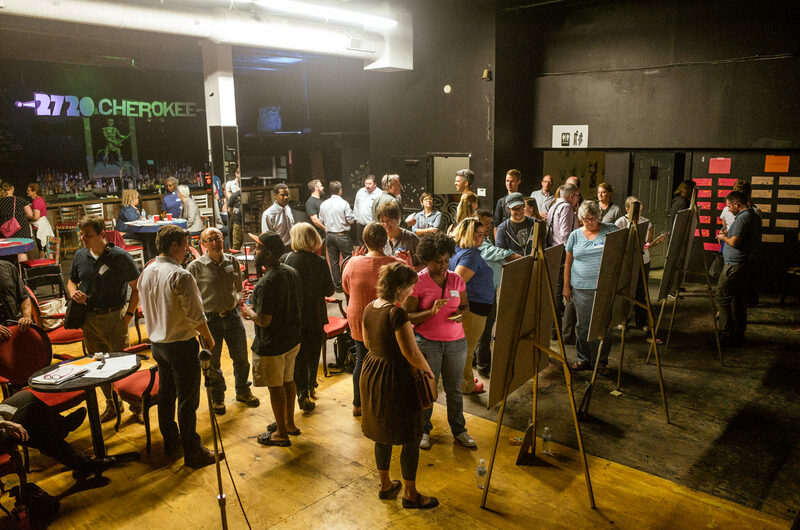 On Tuesday, November 29th, a group of more than 70 people came together for the first Public Working Meeting of the Gravois-Jefferson Historic Neighborhoods Planning Initiative! 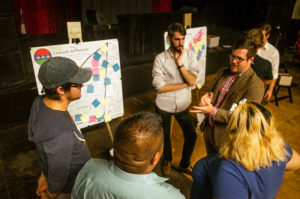 Hosted at Thomas Dunn Learning Center, the group of residents, business owners, local developers, elected officials, and other stakeholders used the theme of “People” to brainstorm strategies, goals and partners for a variety of focus areas. We began with a Presentation, then broke into small groups to brainstorm ideas. Additionally, participants reviewed a draft of the Neighborhood Vision Statement, developed by the Steering Committee the week prior. We learned that meetings are most effective and appreciated when residents have the opportunity to collaborate with their neighbors. Those who attended the meeting liked the opportunity to brainstorm in small groups; in the future, we will ensure these opportunities exist at all meetings. Click HERE to see data related to Health & Safety. Click HERE to see all of the input we received about this topic during the Working Meeting. Click HERE to see data related to Youth & Families. Click HERE to see all of the input we received about this topic during the Working Meeting. Click HERE to see data related to Economic Development & Prosperity. Click HERE to see all of the input we received about this topic during the Working Meeting. If you weren’t able to make it, we have developed online versions of our activities that can be accessed here. We will also be doing this outreach on-the-ground in order to ensure we are capturing as many voices as possible, including those who may not have access to the internet. Thank you for your continued support and participation in the Gravois-Jefferson Historic Neighborhoods Plan! We look forward to seeing you at our next Working Meeting at the end of January. Until then, Happy Holidays! On the evening of November 10th, 2016, the Gravois-Jefferson Historic Neighborhoods Steering Committee came together for their second meeting. 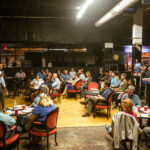 Eight of fourteen members were in attendance, as well as staff from Dutchtown South Community Corporation (DSCC) and Rise Community Development (Rise). You can find the meeting’s agenda here. We kicked off the meeting by reviewing the feedback gathered from residents and local stakeholders throughout the first months of this process. 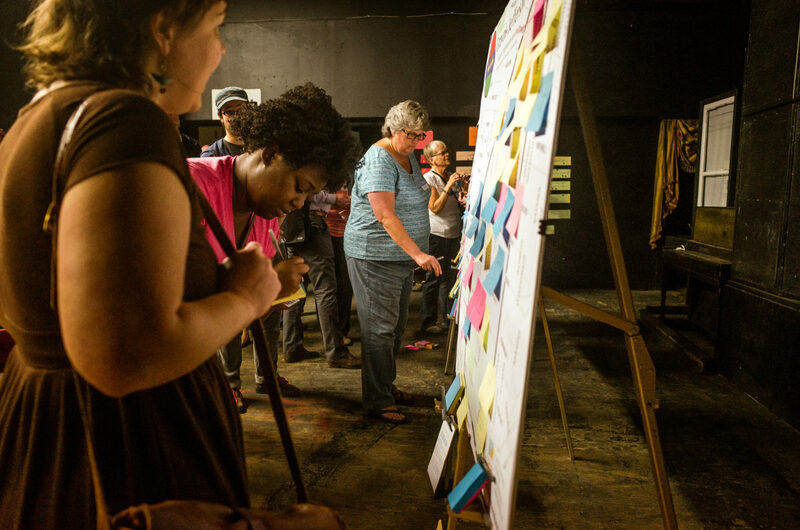 We shared compiled summaries that offer insight into the collective understanding of our neighborhoods. Steering Committee Members then reflected on this information, providing additional comments and clarifications based on their experiences living and organizing in the neighborhoods. 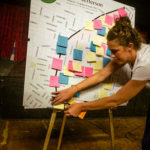 The group then participated in the creation of a Neighborhoods Vision Statement — a declared vision for the neighborhoods that will help guide the process and implementation of the plan. A draft of this statement will be shared and discussed at our first Public Working Meeting! Transitioning from the Vision Statement, the planning staff introduced a proposal to apply a Racial Equity Framework to the planning process. This would entail considering how every decision and recommendation made addresses in and eliminates existing disparities for racial and ethnic populations.The application of such a framework is a key recommendation of the Ferguson Commission, with whom we plan to collaborate on ensuring our process aligns with their calls to action. More information on this recommendation can be found here. Committee Members agreed this was an important component of our process, and staff should reach out to Forward through Ferguson in order to develop a strategy for implementation. Finally, the Steering Committee expressed the need for canvassing and outreach activities that target all residents, including those who may not speak English or may not have access to the internet. To address this need, planning staff is producing canvassing materials so that individuals may do outreach on their blocks. We are also working with a Committee Member to translate our materials into Spanish. Haga clic aquí para el español! We are indebted to our Steering Committee for their service and commitment. Thank you to all those involved in the Gravois-Jefferson Historic Neighborhoods Plan — it takes a village! Hello! 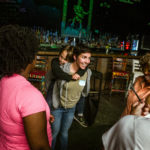 Over the past few weeks, we have been working with residents and local stakeholders to determine community assets, challenges and opportunities; focus areas for intervention and community-led development; and priorities for the Gravois-Jefferson Planning effort. 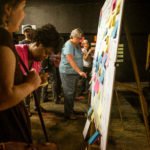 With information gathered at our Kick-Off Event on November 1st and our second Steering Committee meeting on November 10th, in addition to one-on-one and group meetings with individuals living and working in the area, we have compiled summaries that offer insight into the collective understanding of our neighborhoods. For those that have not had the opportunity to voice their thoughts, please consider participating in the activities using our online platform! Thank you again to all those who have participated in this process thus far — the response from the community has been fantastic, and we look forward to continuing our work together. See you at the first Public Working Meeting! Have any questions or feedback? You can always contact us! We’ve been taking some time to go over all of your responses from various community engagement activities. While we’re still processing and researching a lot of the points brought up in the various activities, there’s a handful of questions and data points from the data dig that we can talk about now. For your reference, here is the data snapshot that was provided for the activity. A common question revolved around education attainment data, which showed that 27.7% of residents have a less than high school diploma, and 32.3% have a high school diploma. Together, that’s 60% of people who live in the planning area who have attained at most, a high school diploma or GED. This number comes from the census data for educational attainment for individuals 25 years of age or older. The fact that close to 22% of the population is youth aged 5-17 does not have any bearing on this statistic, and is designed to give an idea of the adult education attainment after you have been given ample time as an adult to attain this. This statistic, along with all of the statistics in our data dig activity that didn’t have to do with parcels, housing tenure, and vacancy, come from the US census bureau’s numbers for census tracts 1164,1241 and 1242. While this is not an exact overlay of the planning area, the public is unable to draw our own shapes and come up with numbers for a limited area and have to work with what the census gives us: tracts, block groups, municipalities, zip codes, counties, etc. We also got a lot of questions regarding where school aged children go to school, we’re in the process of trying to see if we can get ahold of any of that, however none of it is readily available. The census does not ask these questions, they’re simply interested in attainment and enrollment: not where. Schools are often very quiet on how these enrollment numbers look outside of actual enrollment, especially for charter schools who look to craft an image based on their style of education, not where their students come from. We do not anticipate that this will be easy to find unless already compiled into a report. While we can’t answer everything in a simple blog post, we are working on digging further into your data dig to find out what we can about the other points that were brought up, these are the ones that are some of the most recurring themes that we have answers for. See you all at the first working meeting on the 29th! 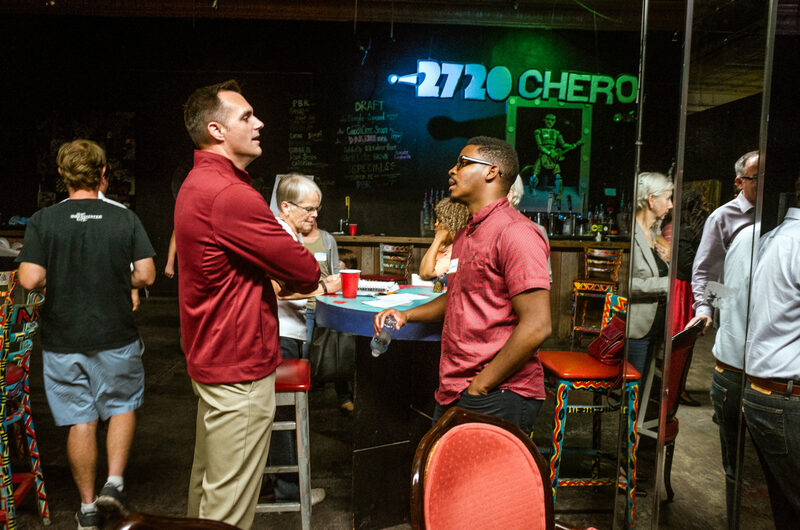 On Tuesday, November 1st, a group of more than 85 residents and local stakeholders came together for the Kick Off of the Gravois-Jefferson Historic Neighborhoods Planning Initiative! 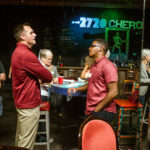 Hosted at 2720 Cherokee, the event provided an overview of the planning process, an introduction to the Steering Committee and project staff, and a variety of engagement activities to catalog current community conditions and prioritize focus areas for further investigation and recommendations. If you weren’t able to make it, we have developed online versions of our kick off engagement activities that can be accessed here. We will also be doing this outreach on-the-ground in order to ensure we are capturing as many voices as possible, including those who may not have access to the internet. We are in the process of cataloging the input we gathered during the meeting, and will have summaries online soon! 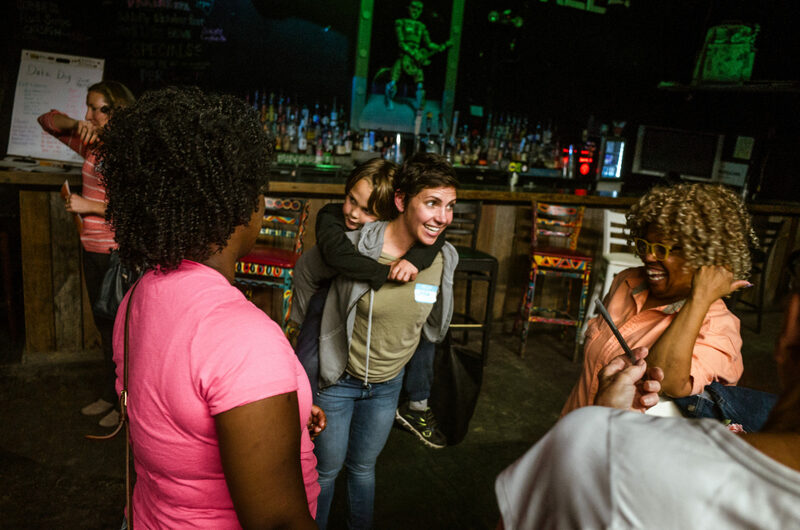 One major takeaway is the importance of an inclusive and collaborative process, with intentional outreach to people of color, lower-income individuals, and young people. We are busy working on this and would love your help to make it happen. If you have ideas or people we should talk with, feel free to contact us! If you missed it, loved it, and/ or want to get more of your neighbors involved, please join us for the first “Working” Meeting on Tuesday, November 29th at 6:30pm at the Thomas Dunn Learning Center. RSVP and Share this Facebook event with your friends, neighbors and family — including those who may not be online! The theme will be on “People”, discussing and making recommendations for planning options that will serve the needs of youth, families, elders and all members of our community. Childcare and food will be provided again. Thank you so much for your participation and we look forward to continue to work with you throughout the entire planning process. 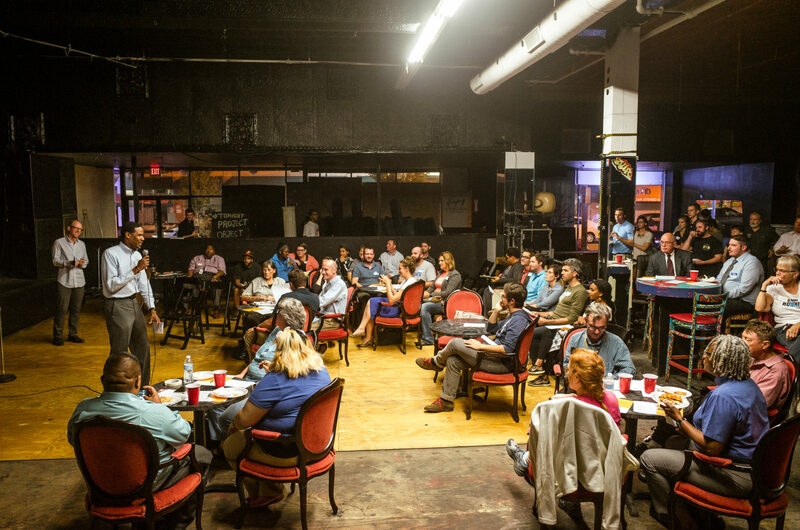 On the evening of September 29th, 2016, we convened the Gravois-Jefferson Historic Neighborhoods Steering Committee for the group’s first meeting. 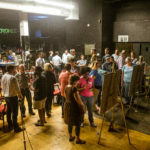 Ten of the fourteen members of the committee were in attendance, as well as representatives from Dutchtown South Community Corporation (DSCC), Rise Community Development (Rise) and Lutheran Development Group (LDG). You can find the meeting’s agenda here. They affirmed need to have youth outreach events, as well as diverse representation throughout the community engagement process, including on the steering committee. They expressed confidence in the group assembled thus far and want to ensure a broad and inclusive process. They expressed excitement for what happens after the plan, emphasizing the need for a strong implementation plan to ensure that recommendations are carried out. The Committee then tasked DSCC and Rise with following up on their recommendations and preparing for the kickoff event.